In the same family for 140 years beginning in the 1840s, Jarrell Plantation is now a public treasure. It was a working farm and adapted successfully to the many changes required. This marvelous individual-farm site is a complement to the Agrirama, which represents a community. Mules are, of course, part of the traditional sugar-cane culture, if not for powering presses then for cultivation and transport. 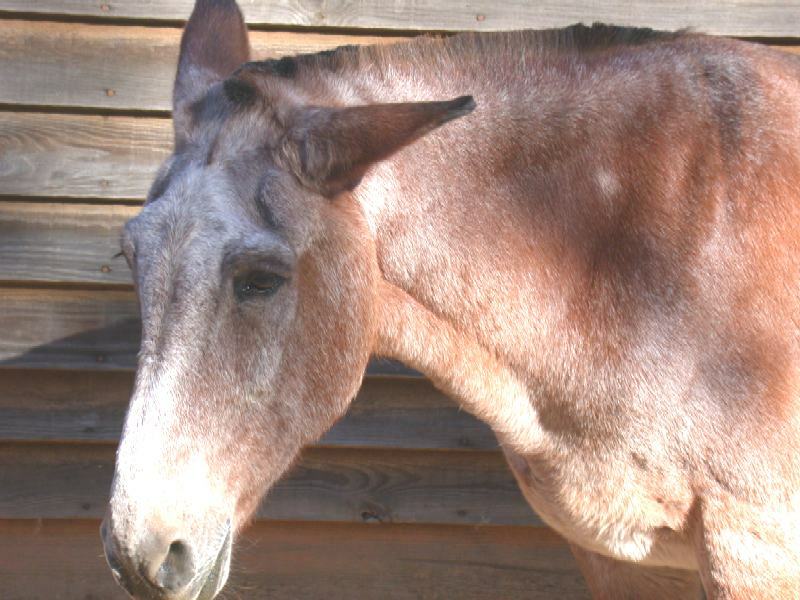 Thus, Toby, the Jarrell Plantation mule, is shown in Slide 1. 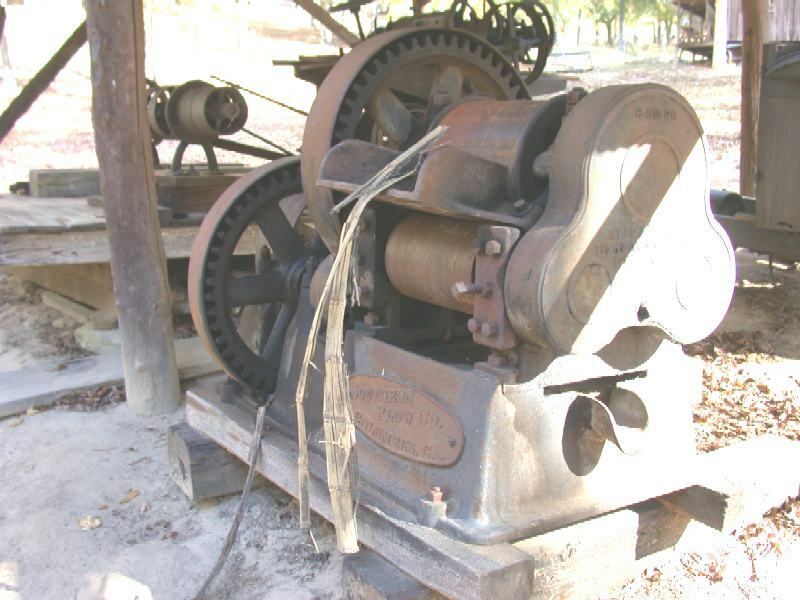 According to the site supervisor (to whom I am indebted for his personal attention), the first sugar-cane operation here began in the 1864 with the purchase of a press (Slide 2, Slide 3). 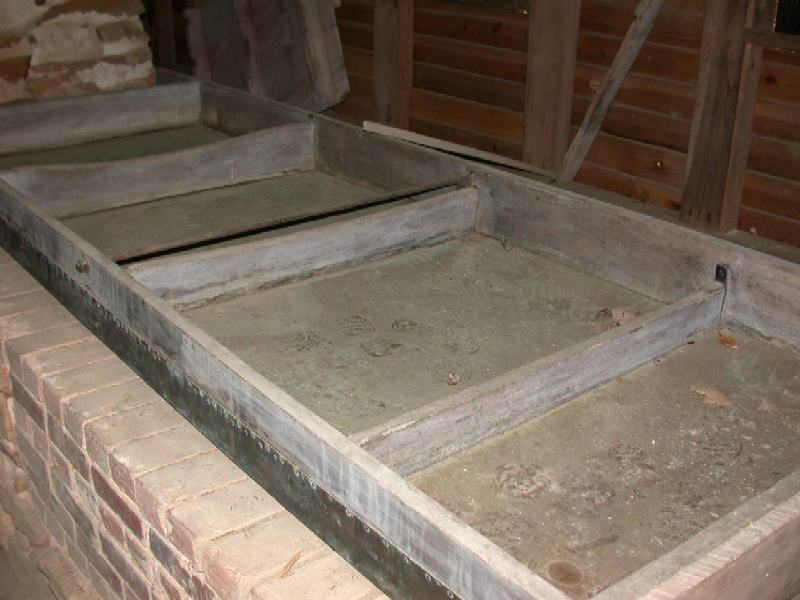 The supervisor thought that the press was made by Taylor Iron Works (Macon, GA), a large foundry that remained in business until the 1970s, though under a different name. Note the hexagonal journal and lever cap. This press endured a visit from W.T. Sherman and witnessed a portion of his scorched-earth policy. 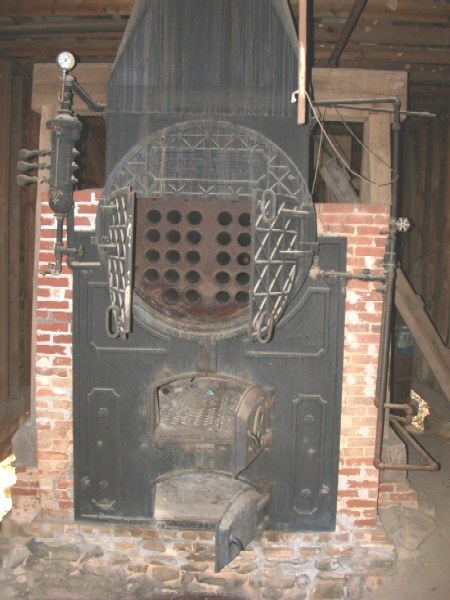 Slide 4 shows the kettles and wood-fired furnace, which is still used once each year for demonstration. Note the gently curved flange on the kettle (cf. the New York Pattern of Golden kettles). A number of kettles like this can be found, and owners often refer to them as salt kettles; a cursory search of the Internet will show that salt kettles came in many styles, some including extensive casting to fit furnaces. 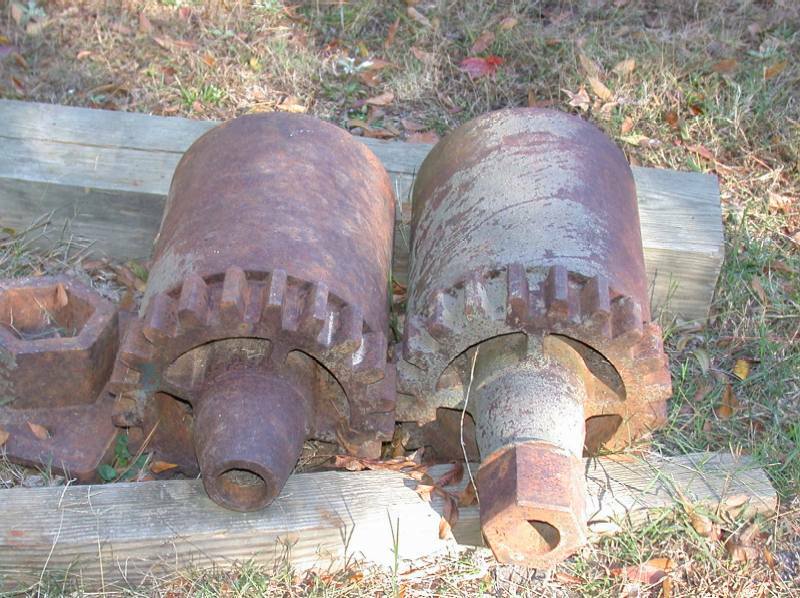 The mill complex, built in 1916-1917, is located on the southwestern edge of the plantation settlement. When the Columbus No. 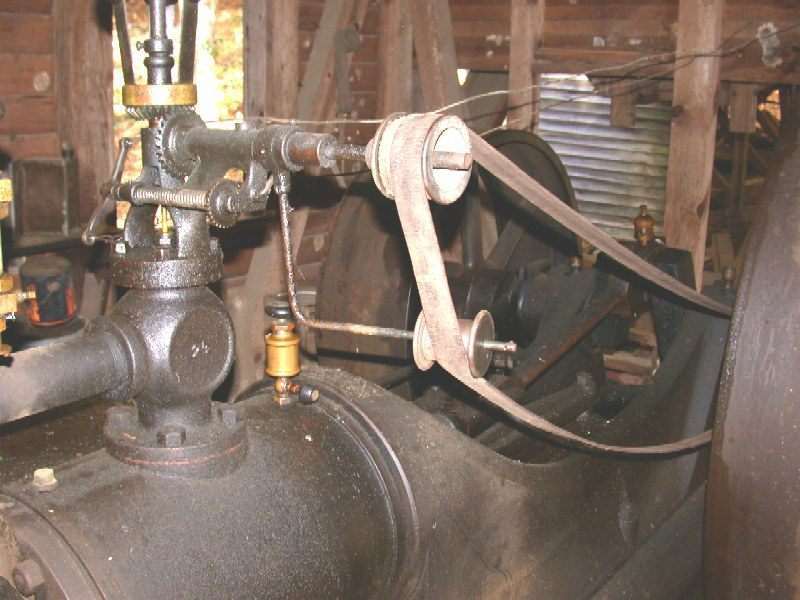 20 was first used, it was powered by a steam engine. The Columbus No. 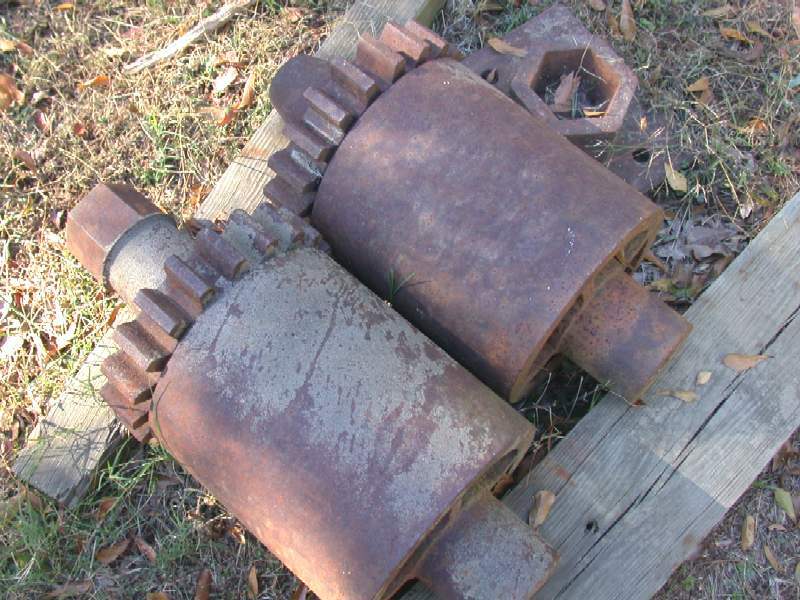 20 is a large mill, weighing about 2600 pounds with 12-inch rollers (about the same as the Golden No. 27). 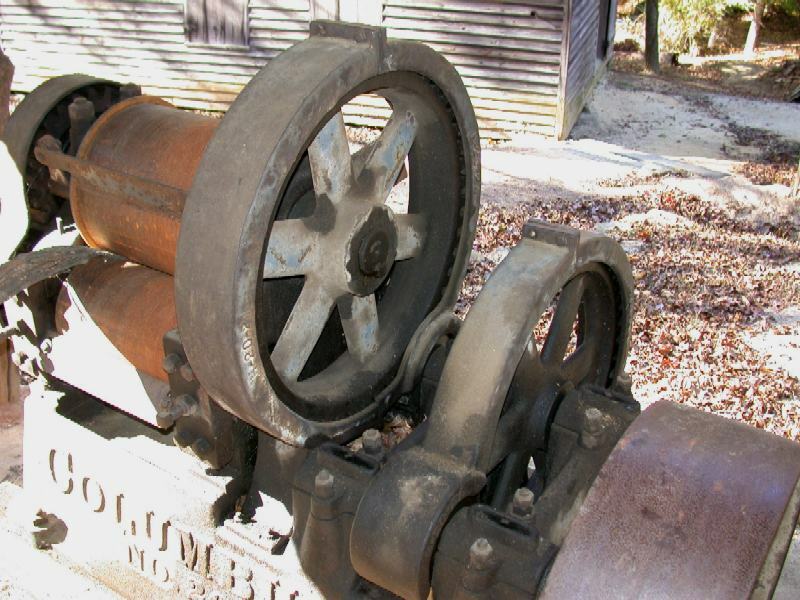 It was advertised to have a juice output of 200-250 gallons per hour. 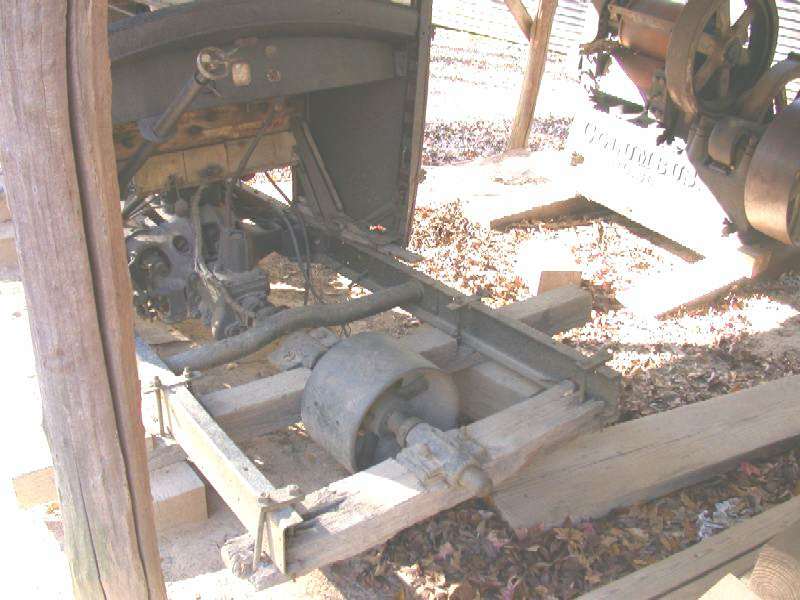 Later, as shown in Slides 5, 6, 7 and 8, the mill was powered by a stripped-down 1927 Hupp Motor Car. 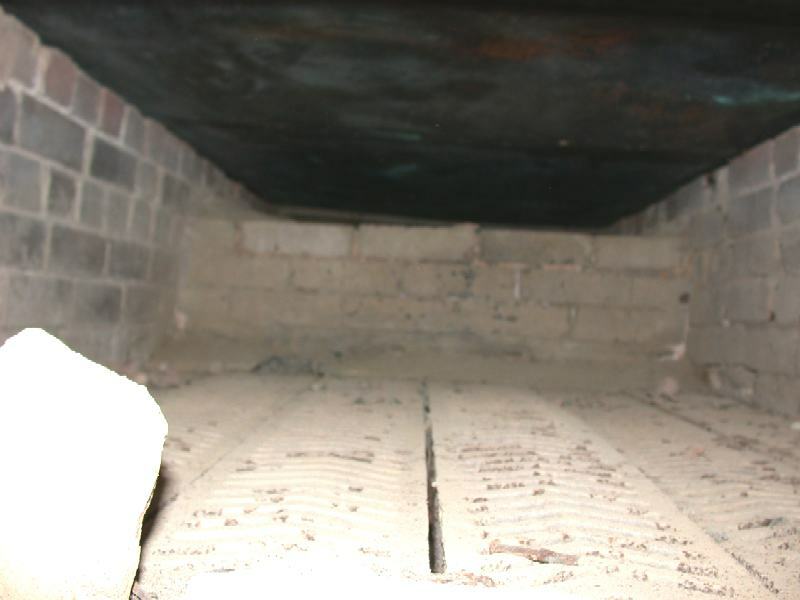 The large volumes of ribbon-cane and sorghum-cane juice were processed into syrup on a copper-bottomed evaporator (Slide 9) set into a wood-fired furnace (Slide 10). 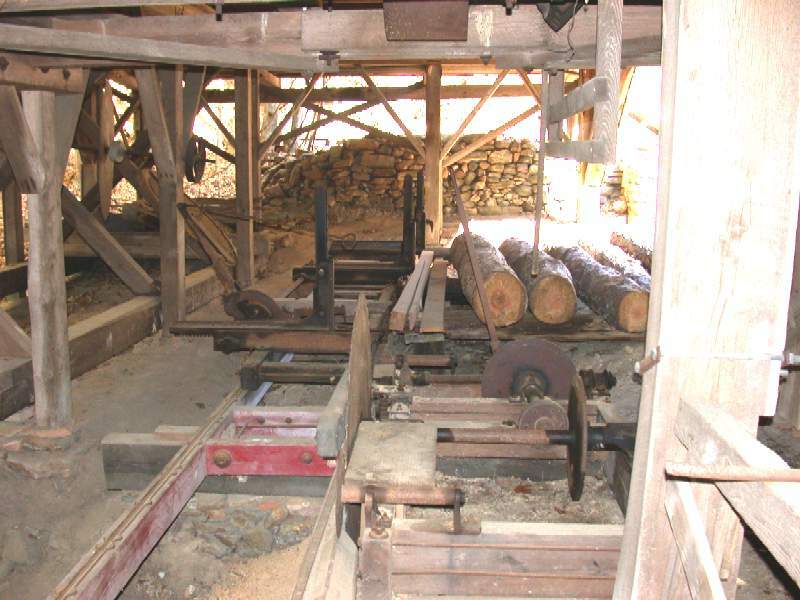 The mill complex also contains a boiler, steam engine and operational sawmill (Slides 11, 12, and 13).